Successfully Added USB Hub Mouse Mat with Speakers + Microphone to your Shopping Cart. 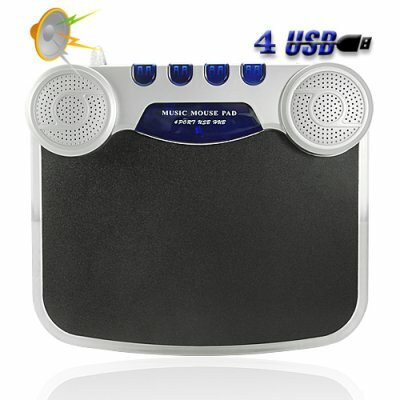 Mouse pad with stereo speakers, microphone and a 4-port USB hub that connects directly to your computer for using your USB devices and listening to music or chatting online. Powered directly from the computer itself, this ultra-convenience mouse pad also features two built-in stereo speakers as well as a 3.5mm headphone jack for private listening, a built in MIC as well as a microphone jack if you want to use your own high quality mic, and a 4-port USB hub for chaining additional USB devices. This gadget really helps you make the most of your limited desktop space.